A wonderful new collection of short stories, most of which are published here for the first time. Wallis Simpson, the twice-divorced American woman for whom Edward VIII abdicated in 1936, ended her life (as the Duchess of Windsor) as the prisoner of her lawyer who would not allow anyone — friend, foe or journalist — to visit her in her Paris flat. 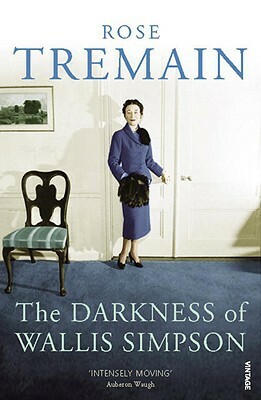 Rose Tremain takes this true story and transforms it into an imaginative and ironic fiction. Her thesis is that Wallis, gaga and bed-ridden, had forgotten the king who gave up an empire for love of her. This superb story plays with the selectiveness of memory: why does Wallis recall the seemingly unimportant, while forgetting the glory days of her notoriety? She can remember her first two husbands — one a bit of a brute, the other very boring — but not the world-famous third one. The other stories in this magnificent collection range over a variety of themes, equally original and unexpected: an East German border guard, redundant after the Berlin Wall comes down in 1989, imagines that he might still have a purpose in life. He tries to reach Russia by bicycling across the hostile wastes of Poland. A jilted man gets his revenge. A baby grows wings. A character in an Impressionist painting escapes from his “frame” — or does he? And there’s a Christmas story set in a seedy hotel.